The first SNACKEX for CDR FoodLab® it was a great success. It was a very international show with visitors from worldwide. 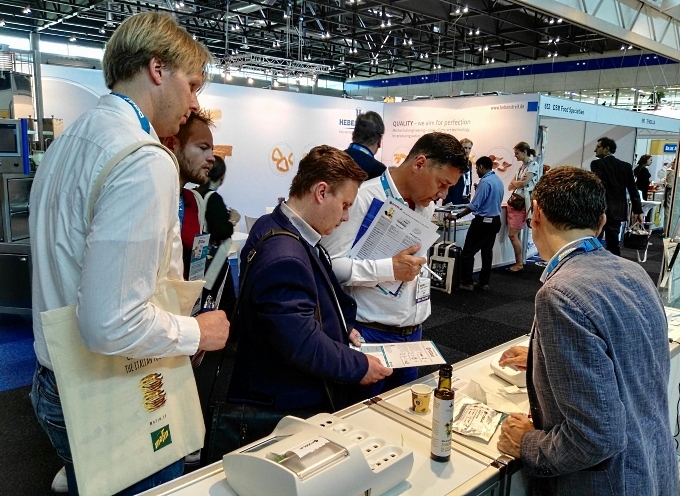 People from 35 countries visited our booth and they were all very interested in the innovative quality control methods for snack available with CDR FoodLab®. We have to thank all the visitors and also the European Snack Association (ESA) that organize a very effective event. The CDR FoodLab® is already used by snack industries worldwide: the most used application is the quality control of the oil during the frying process and the control of the quality of savoury snacks (fried chips, corn chips, etc.) as well as nuts (peanuts, hazelnuts, pistachios, etc…). Final Report from SNACKEX 2017 was last modified: July 12th, 2017 by CDR s.r.l.